Megan will perform in the rival of THISISPOPBABY’s hugely successful show RIOT (Best Production Tiger Dublin Fringe Festival 2016). The worldwide smash-hit sensation headlines this years’ Dublin Dance Festival for a very limited run at Vicar Street. More recently, Megan played Juliann in SO WHERE DO WE BEGIN? directed by Aoife Spillane-Hinks for Sugar Coat Theatre, staged at Smock Alley Theatre. Recent credits include The Girl in multi award-winning musical ONCE by Enda Walsh, presented by Landmark Productions at the Olympia Theatre, Dublin during the summer of 2015. John Tiffany’s highly-acclaimed production was subsequently invited to perform at the prestigious Charlotte Theater in Seoul, Korea and due to phenomenal demand Once returned to the Olympia Theatre summer 2016 to critical acclaim. 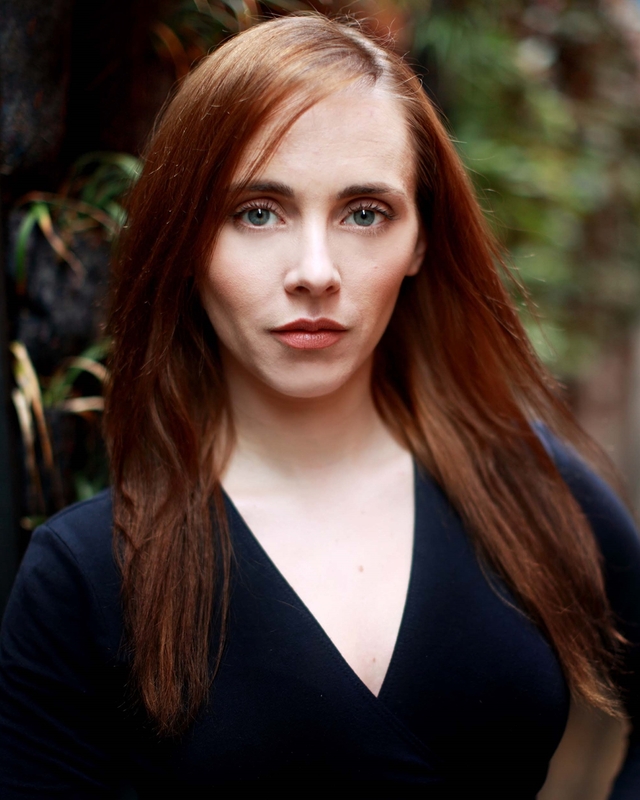 Further recent credits include DONEGAL by Frank McGuinness, directed by Conall Morrison for the Abbey Theatre, the title role in ROMEO & JULIET and Bianca in OTHELLO with Second Age, and HUMAN CHILD & MONSTER CLOCK directed by Dan Colley with Collapsing Horse Theatre Company. Previous theatre credits include YOU REMEMBER THE STORIES YOU WISH WERE TRUE (directed Dodd Loomis) as part of the Dublin Fringe Festival 2013 at Project Cube, WOYZECK (Rough Magic SEEDS II), THE PUBLIC (dir. Wayne Jordan), HEDWIG AND THE ANGRY INCH (Making Strange), THIS IS NOT A LIFE (Bedrock) and THE SCHOOL FOR SCANDAL (Abbey Theatre) both directed by Jimmy Fay, PILGRIMS OF THE NIGHT (Rough Magic SEEDS III), THE COMING WORLD (Making Strange), MY NAME IS RACHEL CORRIE (dir. Jim Culleton), LUCK (Making Strange), IN REAL TIME (Brokentalkers), THE LAST DAYS OF JUDAS ISCARIOT (Making Strange), Nellie in Guna Nua’s THE GODDESS OF LIBERTY at Project Arts Centre and ELEVATOR with THISISPOPBABY as part of the ABSOLUT Fringe Festival 2012. Work in New York includes LUCK (Off-Broadway, 59E59 Theaters), FOUR SAINTS IN/MEXICO (dir. Ruben Polendo), TRANSFIGURES (dir. Lear de Bessonet) and THIS JUNGLE OF CITIES (Off-Broadway). Television credits include Estella Hopkins in Season 1 & 2 of bilingual period drama AN KLONDIKE directed by Daithi Keane for Abu Media. An Klondike received 4 awards at the Irish Film and Television Awards in 2016. Other screen work includes IFTA nominated PADDYWHACKERY directed by Daniel O’Hara for TG4, CITY OF EMBER directed by Gil Kenan for Metropolitan Films, SACRIFICE directed by Peter A. Dowling (Subotica), Renee in THE GIFT OF THE MAGI for Hallmark and “table-side reporting” on THE WORLD SERIES OF BLACKJACK (Game Show Network).